If you could spy on anyone, who would it be? You might want to choose to spy on multi-threat Trinitee Stokes who stars in a spectacular show all about… well, a family of spies! The admirable and incredible Trinitee Stokes is truly one interesting and immensely talented, young lady! Fans worldwide know her for her terrific role as a humanoid robot in Disney Channel’s highly-acclaimed, hit TV show, “K.C. Undercover” where she works alongside Disney Channel veteran, Zendaya, Veronica Dunne and more. Trinitee Stokes’ exuberant, vivacious, and fun-loving personality makes everyone just absolutely adore this young lady who brings so much charm to our TV screens. In addition to her amazing Disney Channel project, Trinitee is also a fashion designer! She even showcased her designs at a 2013 fashion show for tween designers. Impressive, huh? Well, wait until you hear this! Trinitee even is an outstanding singer who also has her very own single out on iTunes! Words aren’t sufficient enough to describe just how remarkable and hard-working the fabulous Trinitee Stokes is and she truly deserves all of her success. This marvelous, young lady has accomplished well beyond her years! 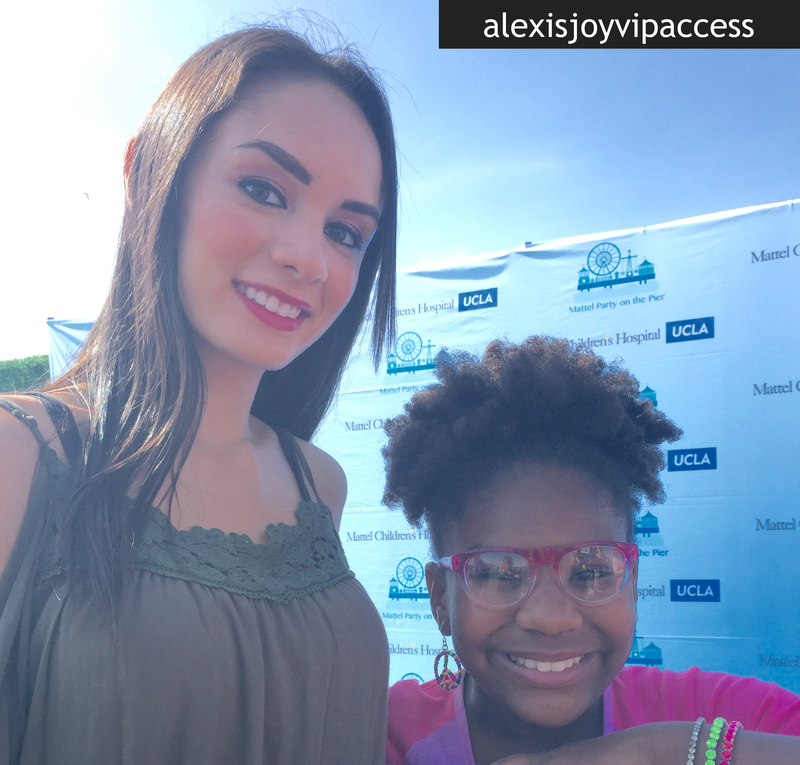 I, Alexisjoyvipaccess had the greatest honor of covering the Mattel Party on the Pier and had a terrific time interviewing the lovely Trinitee Stokes at the event! The bubbly Trinitee Stokes dishes exclusively to Alexisjoyvipaccess all about what it is like on set of “K.C. Undercover”, what it is like for her to do stunts on the show, who she’d like to spy on and so much more only in our VIPAccessEXCLUSIVE interview! Trinitee even spills on her number one fashion advice – hear what Trinitee Stokes had to say in our VIPAccessEXCLUSIVE interview below! Thanks for the fun interview, Trinitee! Check out my VIPAccessEXCLUSIVE interview with the wonderful Trinitee Stokes at the Mattel Party on the Pier below! The Mattel Party on the Pier was back again at the iconic Santa Monica Pier for another fun-filled day perfect for families and friends to have attended. With all proceeds benefitting the Mattel Children’s Hospital UCLA, attendees were able to meet and greet with some of their favorite celebrities and engage in some super fun activities! The Mattel Party on the Pier has and continues to be such an extraordinary event – a great event for a great cause, what could be better?! Previous VIPAccessEXCLUSIVE: Miranda May Exclusive Interview With Alexisjoyvipaccess At Mattel’s Party On The Pier! Next VIPAccessEXCLUSIVE: Jaheem Toombs Exclusive Interview With Alexisjoyvipaccess At Mattel’s Party On The Pier!